I woke up this morning and hear the wind on my windows. That wasn't supposed to happen - but turns out the washington wind model was actually correct for once. Paula Louise and John were busy putting in at telegraph cove in the van. I took one look at the conditions and just wasn't feeling like paddling in a 10-15kt headwind and an opposing current. I parted way s with the crew and went on a hunt for a longer bit of paddling. I took the scenic route around beach drive and found the Victoria side was dead calm. The tide was out a good ways and I had a nice little strip of sand beach to put in. It had been a series of glorious, springlike days leading up to this weekend. 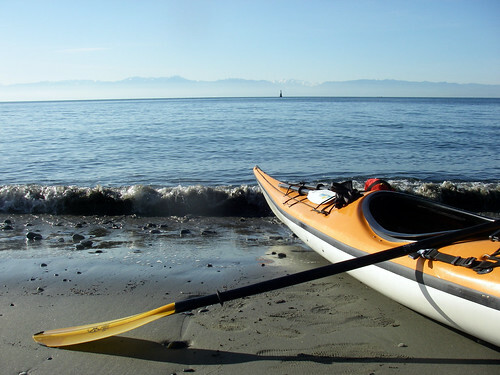 I paddled out to somewhere I hadn't had the right conditions to goin the kayak before: Clover Point. 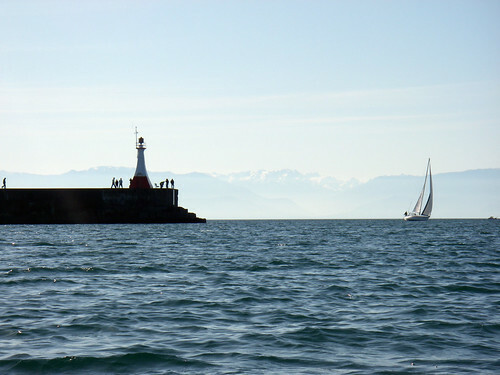 Ogden Point to Clover Point is a very scenic bit of shoreline with some big bluffs to look at. The wind was barely touching the water. The ebb was running pretty well from Enterprise Channel and all the way along the coast, I found a tideline and got a free ride back to Ogden Point and the breakwater. 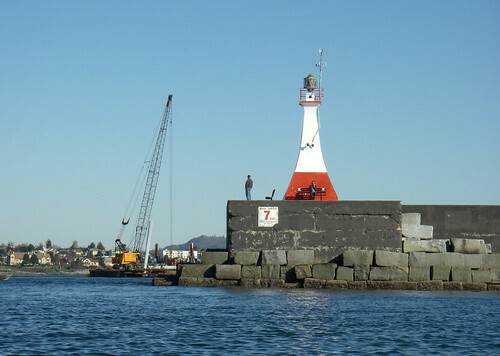 Just beyond the nav aid at the end of the breakwater was a large work barge working on the newly laid pilings at the ogden point facility. They're in the process of lengthening the berths, so longer cruise ships can dock in Victoria without worries of violent weather moving the boats while at their moorings. The wind really picked up in the harbour and about 3 or 4 fishing boats buzzed around picking up traps from the mouth of the inlet. Near fisherman's wharf a fairly larget pilot boat was just finishing fuelling and heading out of the harbour.. makes a kayak feel really small. I ducked into the inner harbour and decided to head back to the put in. The water had gotten quite a bit choppier and all the sailboats raced by me on the way out. 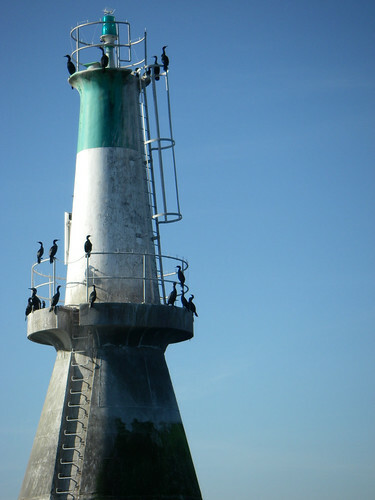 The breakwater was lined with fisherman and a few of them were catching some pretty big cod and rockfish, many of the fish had already been hooked a few times. 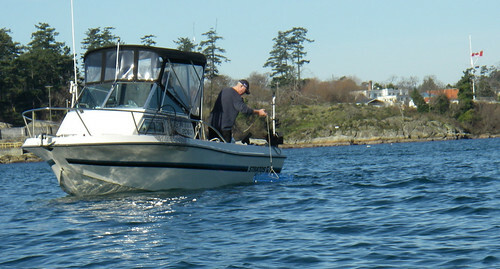 I pulled out of the water and headed off to the boat show to look at some really fancy fishing boats with my friends.